Such data is important to both the media industry and advertisers, the former for discerning tastes and the latter for targeting the most popular shows or specific demographics. Netflix is ad-free and infamously secretive about viewer numbers, but even that company is starting to selectively share data, according to two NBC News sources. Apple is poised to reveal a streaming video service at a March 25 press event. While it could launch as late as summer or fall, and initially be dependent on outside subscriptions such as HBO, the company is working on a slate of high-budget shows and movies, such as an adaptation of Isaac Asimov's "Foundation" novels. Many parties will likely be eager to gauge viewership. That could be difficult, since Apple has been notoriously secretive about customer data with services like Apple News and the now-defunct iAd. Typically it says this is a matter of privacy, but some publishers and advertisers have complained that they don't have access to standard information. One solution could be Netflix's approach, in which data is shared with individual parties. 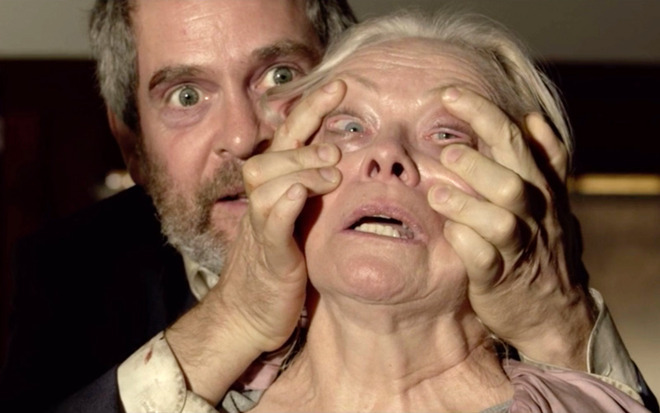 The service has also occasionally publicized data from high-profile titles like the horror movie "Bird Box." Regardless, it may be possible to calculate Apple's audience via indirect methods, which analysts will almost certainly try to do to get a sense of the company's success or failure. By default I thought Apple TV already allowed tracking of what shows/services you might watch along with other viewership statistics? Streaming and on demand is quickly gaining traction and especially among the most coveted demographics. Cable and satellite are in decline except where decent wired broadband is not available and the audiences for OTA networks is older and getting older. The young and the affluent eyeballs have access to broadband and are using streaming services. I am currently on YouTube TV, HBO Now, PBS Passport (regular contributions get you everything streaming) and am signed up for The Criterion Channel which is in limited soft launch, with full service in April. Bloomberg Digital gets me their Business news channel. CBSN- the ad supported news channel is also nice to have along with Sky News, DWTV, France24 and NHK - all free. As to ad metering, I despise ads and watch very little ad supported TV. I have no problem with free channels like CBSN being ad supported, but dislike the barrage of commercials we have to tolerate just to watch a game on ESPN after already having paid a subscription fee. I much prefer the HBO/Showtime model of no ads for a fee. I wonder what the numbers look like for preference of paid and no ads. Huh? This is Nielson. They calculate real data and share it to the public. You remember Nielson from record sales right? Lol nice article picture choice lads ! "That could be difficult, since Apple has been notoriously secretive about customer data with services like Apple News and the now-defunct iAd. Typically it says this is a matter of privacy ..."
The point being Apple is already collecting the user data, and it then becomes whether they'll fully anonymize it in a manner that allows a Netflix-like sharing of some of it without giving away the farm as some of the cableco's do. My apologies for not being clearer. Well the way the comment was written it seemed like you believed Apple collected viewer data and this was the same. Nielson shares data publicly which will be something Apple does not like to do and that's the problem here. Apple may want to pull an Apple Watch strategy and not share subscriber count, then again they do it with Music. I don't get why Apple just can't simply say "no" to Nielson. Does the government mandate companies give data to Nielson? I think the numbers will show that broadcast TV is dead. Couldn’t happen to a more deserving bunch. Apple will likely have to join this, but it’s not clear they’ll do so unless Netflix also joins. That picture! LOL. How can anyone post on this article without mentioning it?? Fantastic work. Highly doubt Apple will see itself as being under any obligation to share viewership information with Nielsen. well in theory yes. at the least they can tell from their servers how many users watched something. any streaming service can do that. This article doesn't seem to get that nothing can stop Nielson from using its data collection methods from measuring (estimating) viewership on Netflix, Disney+, Apple's service or anything else it cares to monitor. There's nothing in the article that suggests that Netflix is giving Nielson privacy customer data (or any data), so why would Apple?